Few things are as cherished as wedding gowns. Careful planning goes into selecting the perfect wedding dress and many brides want to preserve it as a keepsake or heirloom to be presented to their daughters decades from now. 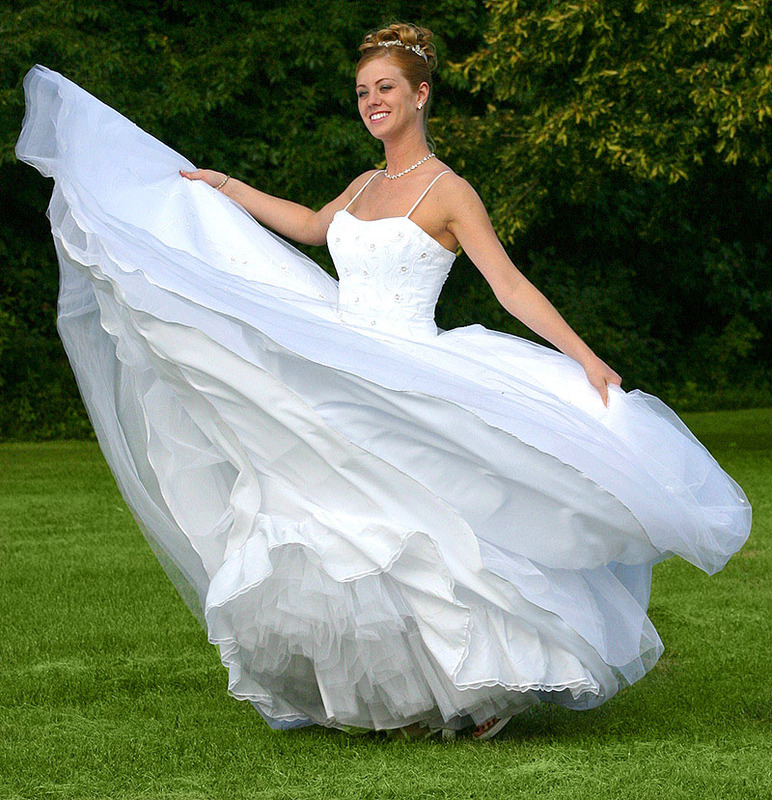 Other brides just want their gown cleaned so it can look its best to resell. Trust your gown to our experts. We clean more than a thousand gowns every year! Our wedding gown specialists carefully examine every gown when it arrives to determine the most suitable method for cleaning. Fabric, ornamentation and types of stains are all be considered. Stains are treated including hidden soils from perspiration, body oils and clear liquid spills such as white wine. Some stains not immediately visible darken with age (carmelization) causing fabric weakness and discoloration. Are you considering wearing your grandmother’s wedding dress for your upcoming marriage? Maybe you want to clean and restore an old gown as a 50th wedding anniversary gift. We can clean and often remove stains set long ago as we brighten gowns yellowed with age and oxidation. It’s a wonderful way to honor a family member or dear friend! Don’t restrict your thinking to just wedding dresses. We can provide the same cleaning and restoration techniques to any important garment. Maybe you’ve acquired a beautiful couture creation or unique vintage garment. We can do wonders with those, too. Even a clean dress that hangs in a closet for 20 years can be negatively affected by humidity, ultraviolet light, smoke, smog, insects, and dust which all take their toll over time. Protect your prized gown with our MuseumStyle™ storage box featuring moisture and oxygen control technology. Your dress is carefully sealed in an acid-free inner box and shrink wrapped. The sealed packaging allows viewing of your gown and accessories at any time without disturbing the protective seal. Your gown is protected from insect damage and oxidation. The inner box is encased in a durable storage chest with handle for added protection and convenience. As a Licensee of Prestige Preservation Program, we adhere to strict standards. Call us at (313) 864-2111. We’re delighted to answer your questions and explain our extraordinary preservation services. Get started by requesting our Wedding Gown Kit. It includes a prepaid shipping label to Ram Leather Care and everything you need to securely package your gown. Your gown will be cleaned, preserved and returned to you approximately three weeks after we receive your gown. We do all cleaning processes safely within our own plant. Your wedding dress won’t leave our hands until it’s time to return it to you. If you are near our facility or use one of our partnering dry cleaners*, you may request to see your gown after cleaning and before preserving. A modest fee is charged for this service because of the additional handling and packaging, but we want you to be entirely satisfied with your finished result. Those tough stains need expert handling to safely remove. 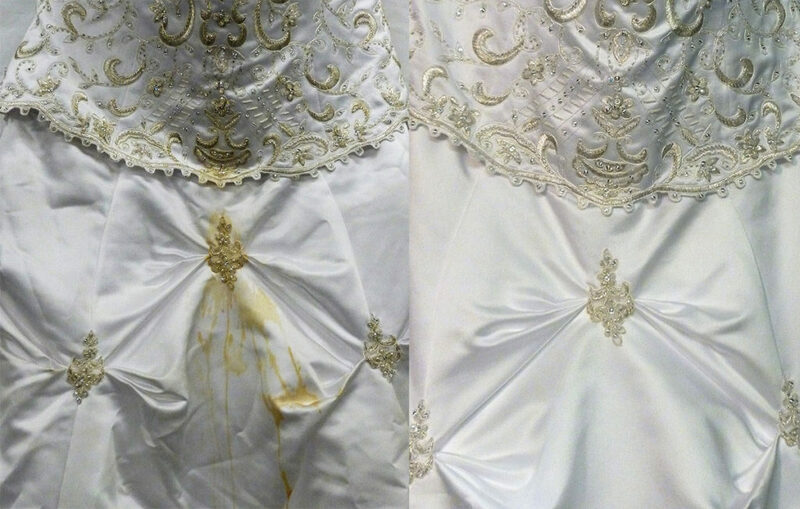 Read how we cleaned and restored this damage wedding dress. We’re happy to answer your questions and tell you about our wedding gown cleaning and preservation services.